For more than 100 years, Chicago Metallic has crafted commercial-quality baking pans and accessories for home bakers and built a global reputation one kitchen at a time. 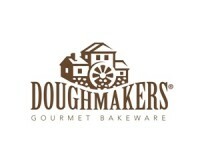 Our baking solutions are designed with you in mind—from smart design and styling that helps do the work for you, to innovative, award-winning bakeware like our Lasagna Trio Pan—all with unrivaled materials and craftsmanship. Each of our products is also designed to be brought to the table: an Emile Henry product will not only help in excellent culinary results but also in getting a nice and elegant presentation of your recipes to share with friends or family. 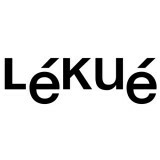 Lékué products have revolutionised kitchens around the world, making them spaces for new food experiences and unique sensations. Blending flavours and textures; making recipes and trying them, all of this helps children and adults discover the pleasures of cooking at home. Our premium brand with over 300 deluxe kitchen tools, gadgets, knives and accessories including our award winning bakeware collection. Perfect for the aspiring Master Chef. Nordic Ware is a leading manufacturer of high quality and innovative kitchenware products. Our timeless collection of classic designs fit into every budget while delivering reliable baking results time after time. 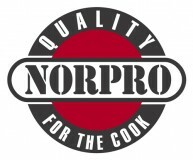 Norpro has a complete line of all the products you need to prepare, bake & serve all your basic & specialty baked goods! 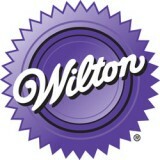 Our products reflect the utmost in quality and are manufactured with superior materials and craftsmanship. USA Pan has been developed by the world’s largest manufacturer of industrial bakeware and has been providing the world’s leading commercial bakeries with the highest quality baking pans for over 50 years.